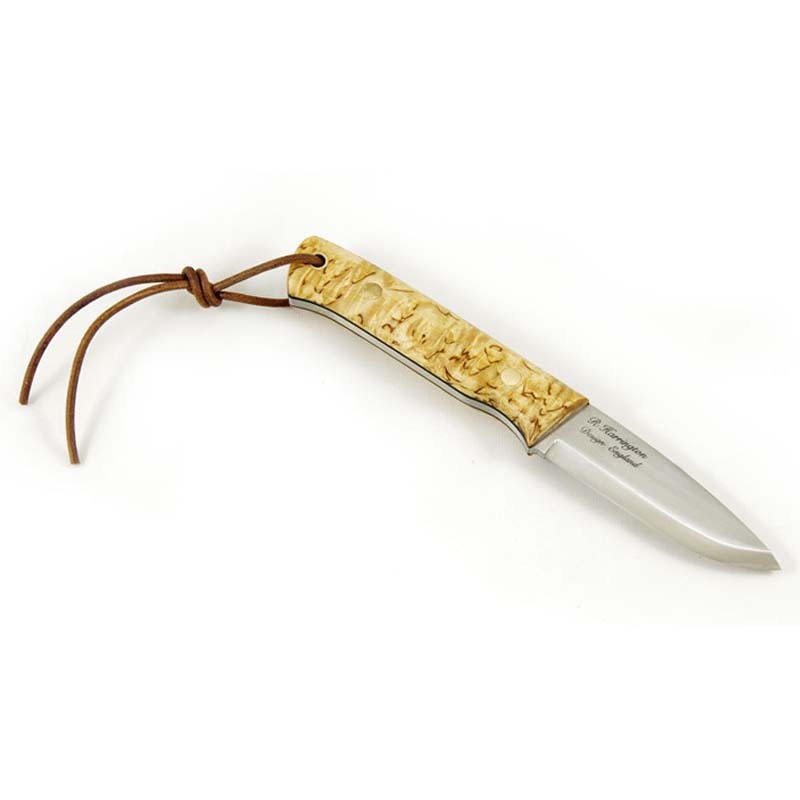 A classic wilderness knife designed by English custom knife maker Roger Harrington. The blade is made of around 4mm thick Böhler K720 high carbon tool steel to make the blade extremely durable for heavy use such as log-splitting, or so-called "batoning" without making the knife to heavy or uncomfortable to carry. 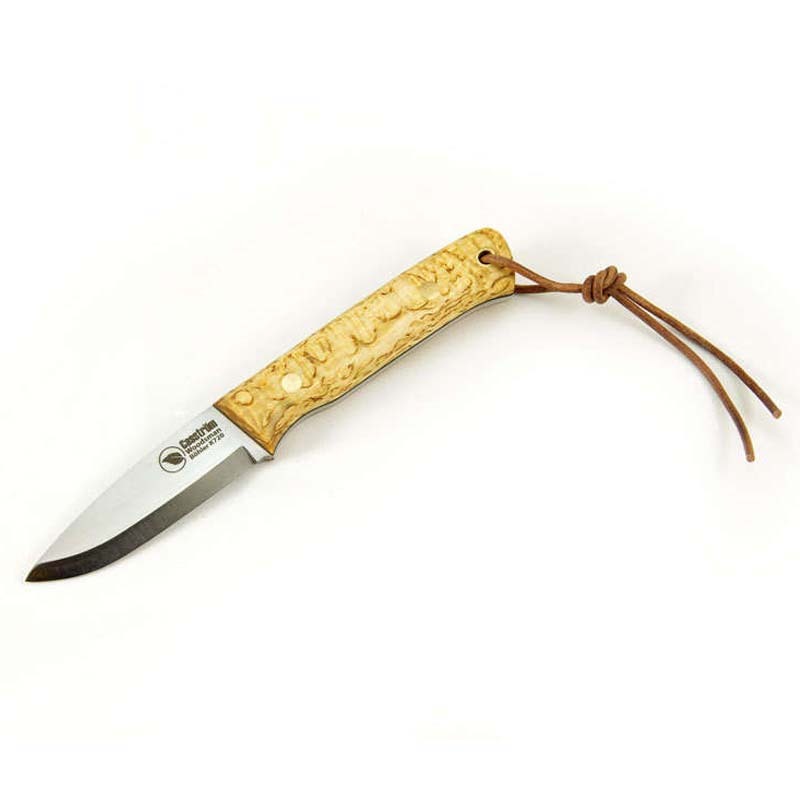 The knife has a Scandinavian grind to make it very robust at the same time easy to carve wood and easy to sharpen on a small flat whetstone/sharpener in the forest. Handle: Curly Birch with black liners. 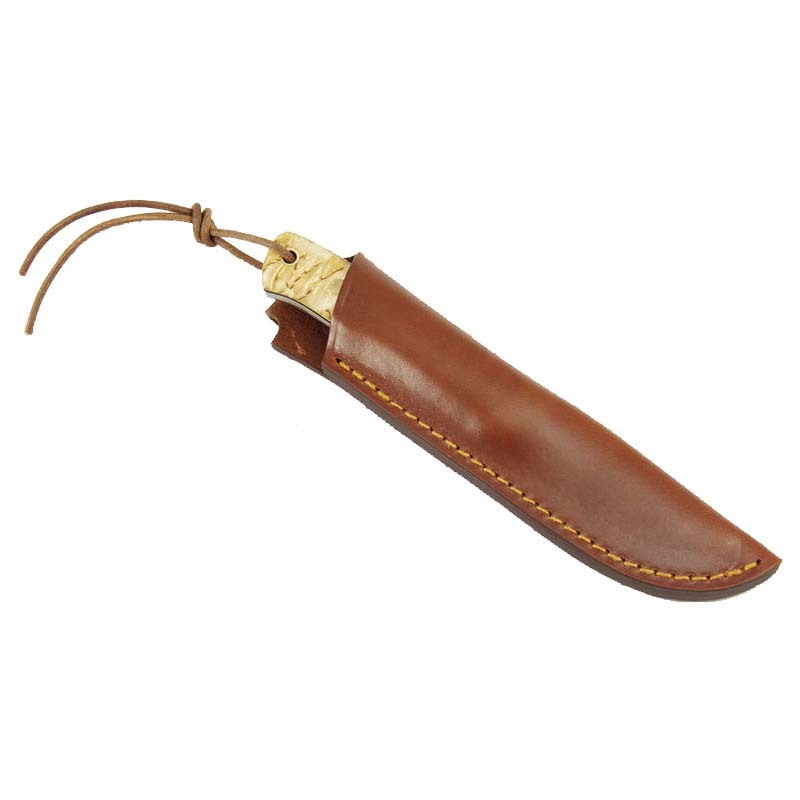 Sheath: Deep pocket sheath in sturdy veg. tanned leather.